It was an interesting request. With over 25 years’ experience in the building services market, it was not a request that phased out Managing Director Richard Betts and the answer was categorically, “Yes”. RAB work with many partner companies including AJM Ventilation, an exceptional ductwork installer with fully trained and highly experienced pairs able to cover any aspect of this contract. 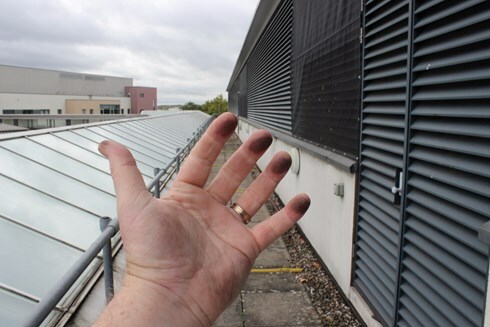 · 10 of the supply ducts were drawing air from high-level louvres. · Access required scaffold which would make on going maintenance very difficult. · Internal access was also difficult meaning that the duct would have to be split. · The location was a hospital and much of the work had to be completed on weekends. Liaising with distributor GVS Filtration and their client Bouygues a successful bid was put forward in a competitive tender and we subsequently fully surveyed all 28 locations. Our solution. Split the supply duct and install new purpose manufactured filter frame sections complete with RABScreen withdrawable filters. The out of hours work was completed on a Saturday, with AJM providing and a 10 man team supervised by Tony Martin. Now the local airborne debris created by London’s A40 and the surrounding industrial area could be kept away from the disposable filters increasing their lifespan by as much as 60%. This front-line protection allowed the introduction of the highly efficient GVS BACTICELL, which also improves efficiency and can cope with higher pressure differentials between changes. 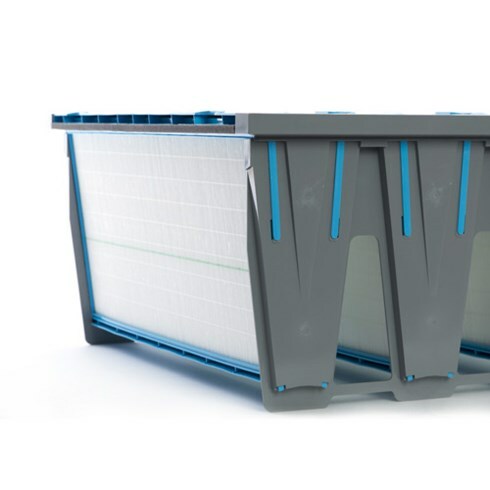 The partnership of RABScreen and BACTICELL in August 2017 will reduce filter replacement costs dramatically with the next filter change not expected until August 2019.